Costa Rica means ‘rich coast,’ and its delicious cuisine, vibrant nightlife, and lush rainforests make it a real-life tropical paradise. 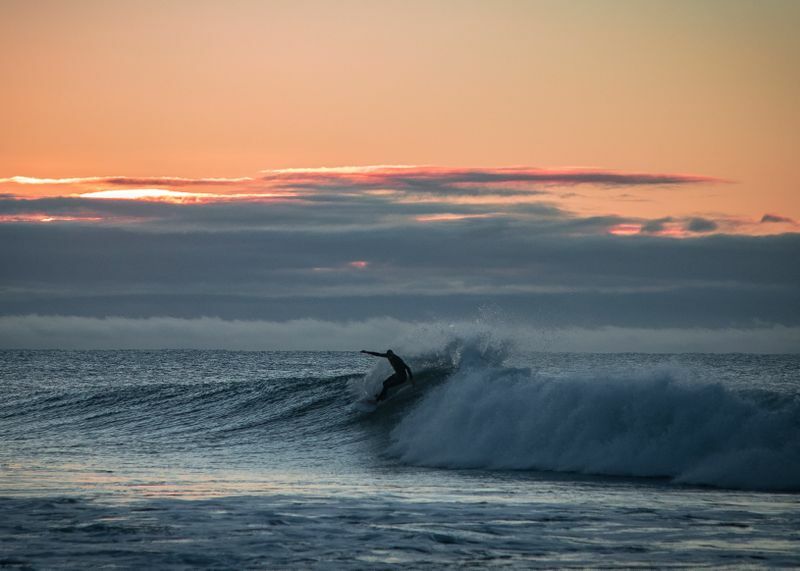 With clean, world-class waves, it truly is an unrivaled surfing destination. 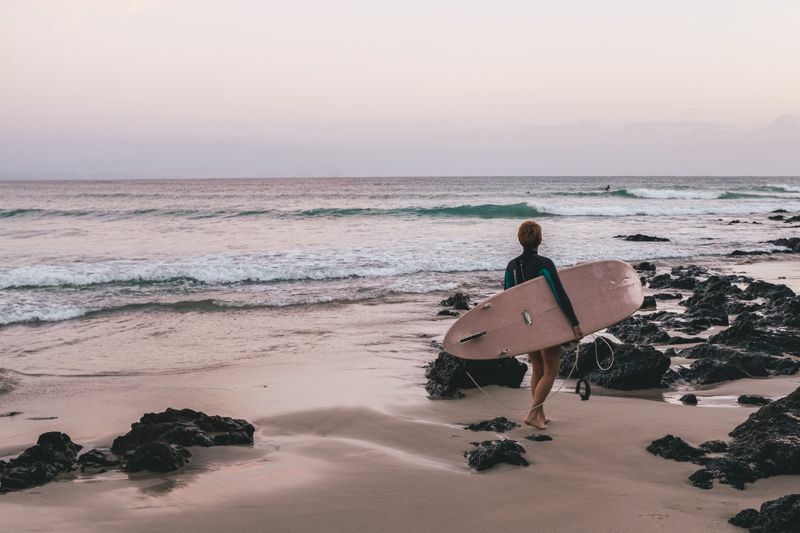 What’s more, these sandy shores are less crowded than all-time popular surfing destinations like Australia, Hawaii or Southern California. 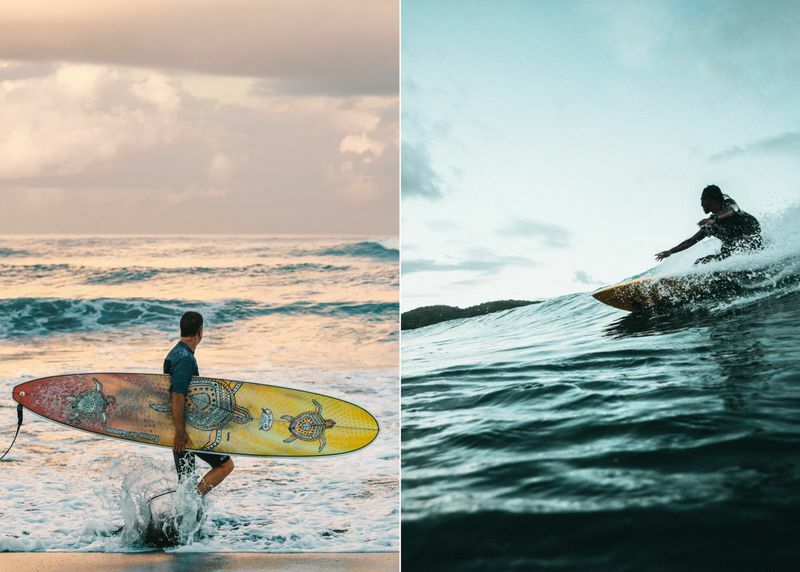 At the borderline between North and South America, only nine degrees north of the Equator, both of the country’s coastlines are blessed with exceptional surf, the water temperature averaging at 86 °F (30 °C). The surf that hits Costa Rica’s Caribbean Coast is produced by tropical storms off Mexico. These waves are among the largest and most powerful in the country. The best waves reach these shores during the hot dry season, between December and March. On the Southern Caribbean coast, surfers from all corners of the world flock to have a glimpse of the famous Salsa Brava reef break. The coral reef just off the coast produces spectacular Hawaii-style waves, which are among Costa Rica’s biggest. They can carry up to 20 surfers at a time, and you can expect big barrels from January to March. These steep, wild and challenging waves are for experts only! Puerto Viejo is a small, laid-back seaside town in the Limon Province. South of Puerto Viejo, Playa Cocles is a lively surf village, with Caribbean and reggae influences at every corner. These turquoise waters surrounded by jungles and banana plantations receive consistent swell all year round and are excellent for beginner surfers. The best conditions for surfing sessions can be found between January and April. Boasting the largest coral reef in Costa Rica, the white sand beaches of Cahuita don’t see too many crowds. 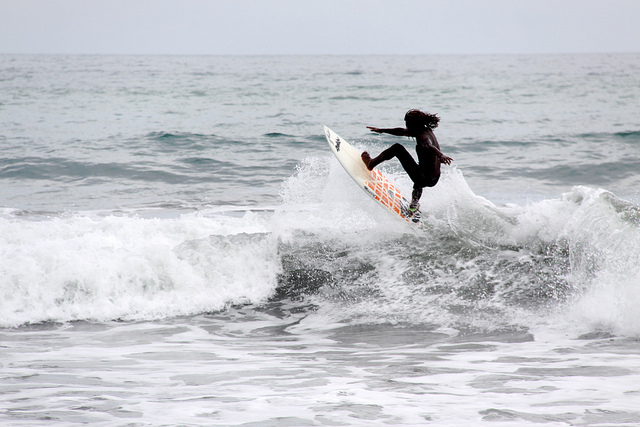 There are usually only Limon locals here, and the surf is great for beginners and intermediate riders. The number one surfing spot in Cahuita is Playa Negra, considered one of the cleanest and most beautiful beaches in the country. The best waves hit this shore between November and April. Playa Bonita is one of the Caribbean’s coast most popular beaches, the place Limon locals often head to over the weekends. On the south end of Playa Bonita, Los Tumbos is a short, hollow and powerful right-hander that breaks better at low tide. This quality beach break is reserved for the pros. The country’s most visited region, the North Pacific Coast of Costa Rica receives constant swell all year round. However, the best waves can be found during the rainy season, between May and November. Please be advised that the rainy months of September and October can get massive amounts of rain, making many secondary roads impracticable even with a 4X4. 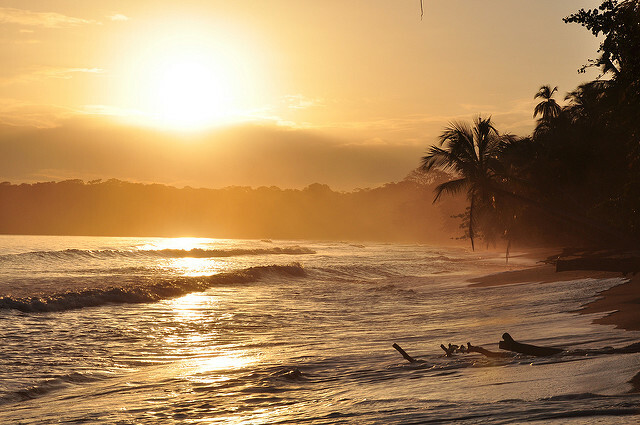 Sunny Playa Tamarindo is probably the best-known surfing spot in Costa Rica. With consistent swells and off-shore winds, knee to chest high surf that is best at mid and high tide, it is a great place for beginners in December and January, but there’s a good chance of finding mellow waves throughout the rest of the year too. Intermediate surfers can surf at Playa Tamarindo throughout the surf season (May – November). There are actually two surfing spots here: Playa Tamarindo and Playa Langosta. The latter is only a 15 minutes’ walk from Playa Tamarindo and offers fast left and right point breaks, as well as plenty of restaurants, hotels and surf camps. Playa Langosta is recommended for experienced surfers only. 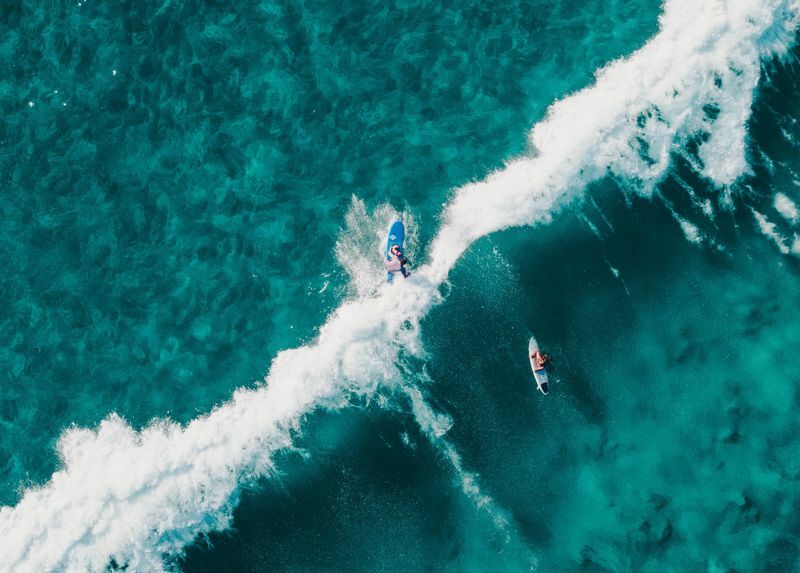 Thanks to is central Pacific location, it also provides quick access to other great surfing spots like the Witch’s Rock, Ollie’s Point and Playa Negra point breaks, which can be accessed through the Santa Rosa National Park. 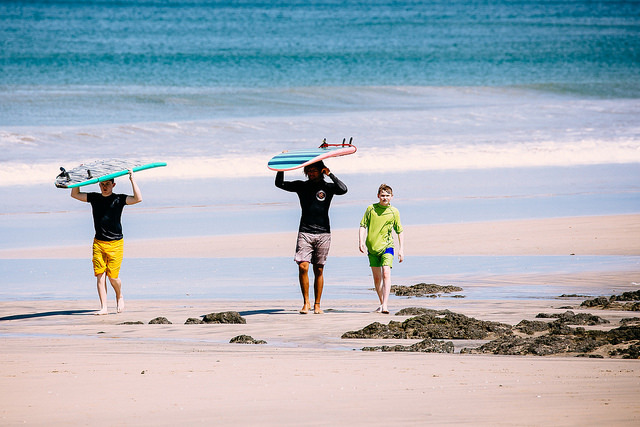 These surf breaks are recommended for experienced surfers only. Playa Negra offers world-class surf and reliable swell, with epic waves that break overhead. For the most aggressive waves, head down here when big storms kick in. One of the most accessible big-wave beaches in Costa Rica, Playa Grande receives consistent swell all year round thanks to its offshore winds. This beach break offers plenty of barrels and is best at mid tide. Between June and August and again between December and April, the waves here can get a bit crowded, but finding a spot all to yourself shouldn’t be too hard. 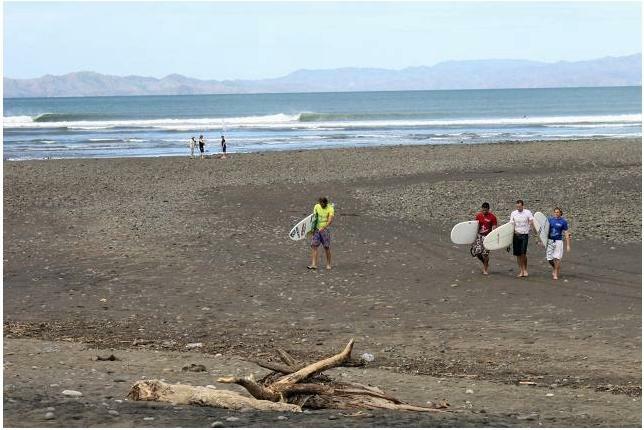 One of the least visited beaches in Costa Rica, Playa Avellanas is one of the best surfing destinations in the country. A short drive south of Playa Tamarindo, this quality beach break offers quality waves that are relatively easy to catch. Please take note that Avellanas is truly off the radar – only a few cabins and surfer retreats service the area, with some howler monkeys here and there. At the north end of Playa Avellanas, past the river mouth, lies a hidden gem reserved for experts only. A left-hand reef break, Little Hawaii is best at low tide, and offshore waves here can reach 18 ft (5.5 m). With few crowds and a laid-back atmosphere, the town of Nosara is located within walking distance from the most reliable surf in Costa Rica. There are a few beaches here, but most surfers will prefer Playa Guiones, a crescent-shaped beach break with a sandy bottom, that is recommended for all levels of surfers. Throughout most of the year, the waves are gentle enough for beginners. But when the big swells kick in, only experienced surfers can go near the waves. Expect more surfers between January and March, as well as in July. 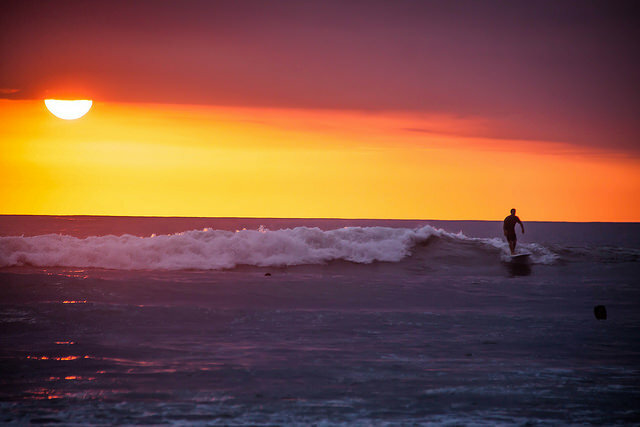 The most easily accessible surfing destinations in Costa Rica can be found on the Central Pacific Coast, as they are within a short distance from capital San Jose. 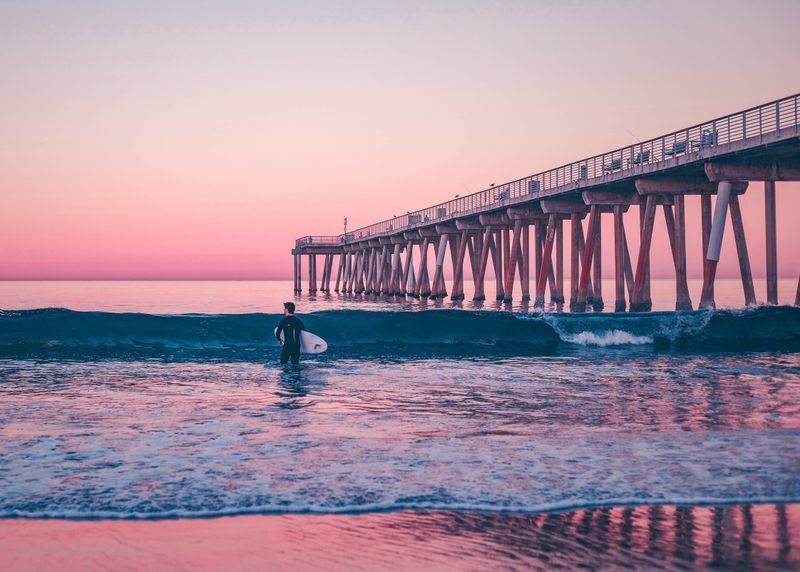 Seaside towns offer quite a bit of nightlife, while the surf is top-notch. As with the rest of the Pacific Coast, the best waves hit between May and November. Playa Hermosa means ‘beautiful beach’ in Spanish. And yes, it does live up to its name, offering some cool waves to surf all year round. South of the busy tourist city of Jaco, this beach is several miles long and can receive some massive, hollow waves. No wonder it is the venue of the international Quicksilver Championship, held each year in August. 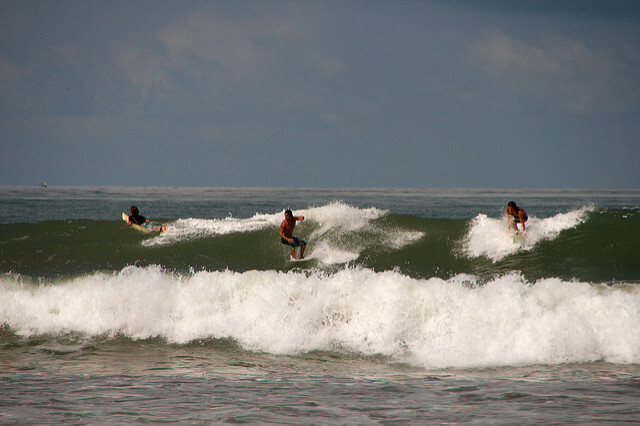 Best time to surf in Playa Hermosa is between April and November. Playa Santa Teresa is home to several beach and point breaks that can produce some hollow waves, recommended for more experienced surfers. It works best with a low tide, when the waves are faster. Playa Carmen is renowned for its consistency and can be surfed all year round. The waves are not too powerful, which makes this a good spot for beginners. The seabed is rocky, so extra caution is necessary. 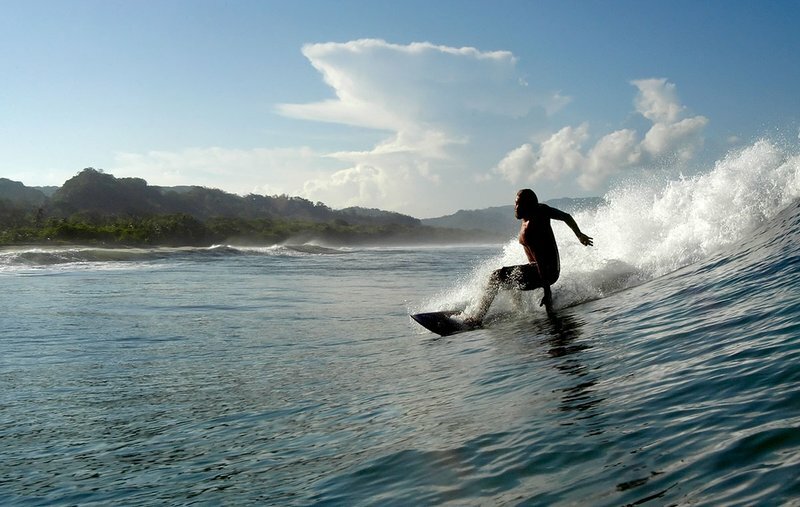 The small beach town of Jaco is the first stop on most surfing itineraries in Costa Rica. Only a 1.5 hour’s drive from capital San Jose, Playa Jaco offers great conditions for beginner surfers at low tide and some world-class waves for experienced riders at high tide. The beach break can produce waves as tall as 10 ft (3 m). Experienced surfers will get what they bargained for between April and November when the tide is high and rising. The coastal city of Manuel Antonio is popular thanks to the Manuel Antonio National Park and seemingly deserted white sand beaches. The surf here, although not as renowned as other spots in Costa Rica, is pretty amazing and absolutely uncrowded. Playa Manuel Antonio offers a beach break that’s perfect for all levels, with fun, gentle waves. Best time to surf here is from May to November. Playa El Ray, located south of Manuel Antonio, resembles Playa Hermosa quite closely. This deserted A-frame break is great for all levels. Other beach breaks near Manuel Antonio are Playitas, Boca Quepos and Boca Damas. The latter is a remote stretch of the island with some powerful waves and strong, hollow rights. Given the right conditions and during a southwest swell, Boca Barranca becomes one of the longest left-hand breaks in the world. Located in front of a river mouth, the waves here can be ridden for up to half a mile (almost 1 km). Boca Barranca is a favorite among longboarders, so make sure you arrive early in the morning to reserve a spot and avoid the crowds. Dotted with lush coastal rainforests, the South Pacific Coast of Costa Rica is a fairytale come true. In terms of weather, the most pleasant months are between December and April. In terms of surf, the best is between May and November. Some of the biggest and fastest waves in Costa Rica can be found at Playa Dominical, and this long stretch of beach has something for all levels. For example, to the north end of the beach, near the river mouth of the Bar River, the surf is bigger and more suitable for skilled surfers. Known as the most consistent surf spot in Costa Rica, this river mouth offers a wave worth riding almost any given time. 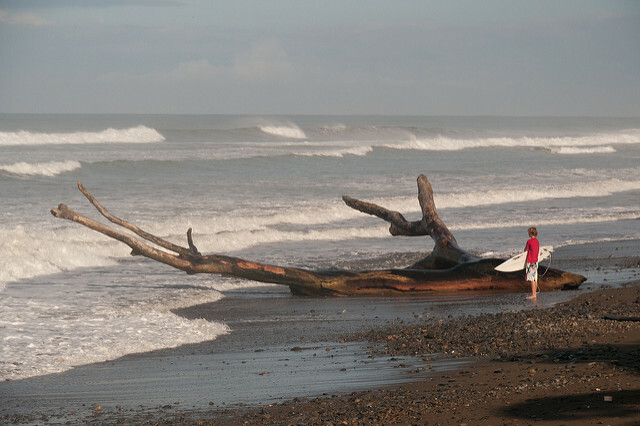 About 1.2 miles (2 km) south of Playa Dominical lies Dominicalito, a beach break with offshore rocks, best at high tide. It is usually small and therefore great for beginners. One of the longest left-hand breaks in the world can be surfed at Playa Pavones, up to three-quarters of a mile long (1.2 km). An eight hour’s drive from capital San Jose will take you to the secluded jungle beach that is home to this epic point break. Make sure you pack your camping gear and spend a few nights on the beach under a canopy of stars. It will be well worth it! With some of the world’s most scenic beaches, a laid-back atmosphere and incredible swells, no wonder Costa Rica have become such a popular surfing destination. So, why not try the waters for yourself? 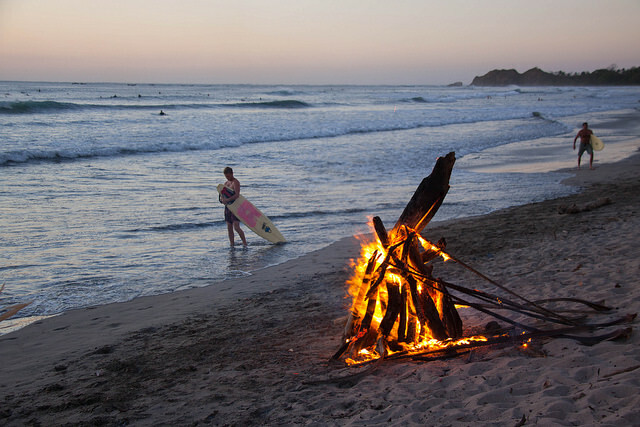 Go to BookSurfCamps.com and choose your next surfing holiday in Costa Rica!